A portrait is a painting. photograph. sculpture. or other artistic representation of a person. in which the face and its expression is predominant. The intent is to display the likeness. personality. and even the mood of the person. For this reason, in photography a portrait is generally not a snapshot, but a composed image of a person in a still position. A portrait often shows a person looking directly at the painter or photographer. in order to most successfully engage the subject with the viewer. Sunrise Portrait Photography. Waimanalo Beach, Honolulu Oahu Hawaii. Aloha! 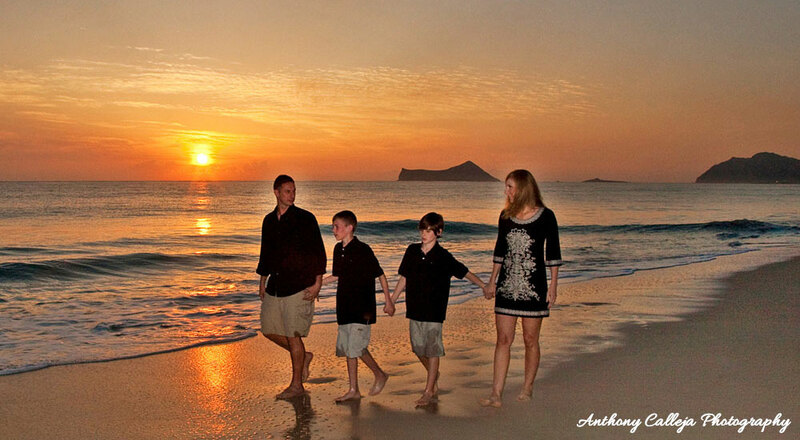 Welcome to the Oahu Hawaii Portrait Photography Galleries section of my website. If you have any questions or if I could be of service, contact me. Enjoy your visit and have a wonderful day! There are essentially four approaches that can be taken in photographic portraiture — the constructionist, environmental, candid, and creative approach. Each has been used over time for different reasons be they technical, artistic or cultural. The constructionist approach is when the photographer in their portraiture constructs an idea around the portrait — happy family, romantic couple, trustworthy executive. It is the approach used in most studio and social photography. It is also used extensively in advertising and marketing when an idea has to be put across. The environmental approach depicts the subject in their environment be that a work, leisure, social or family one. They are often shown as doing something, a teacher in a classroom, an artist in a studio, a child in a playground. With the environmental approach more is revealed about the subject. Environmental pictures can have good historical and social significance as primary sources of information. The candid approach is where people are photographed without their knowledge going about their daily business. Whilst this approach taken by the paparazzi is criticized and frowned upon for obvious reasons, less invasive and exploitative candid photography has given the world superb and important images of people in various situations and places over the last century. The images of Parisians by Doisneau and Cartier-Bresson demonstrate this approach. As with environmental photography, candid photography is important as a historical source of information about people. The Creative Approach is where digital manipulation (and formerly darkroom manipulation) is brought to bear to produce wonderful pictures of people. It is becoming a major form of portraiture as these techniques become more widely understood and used.